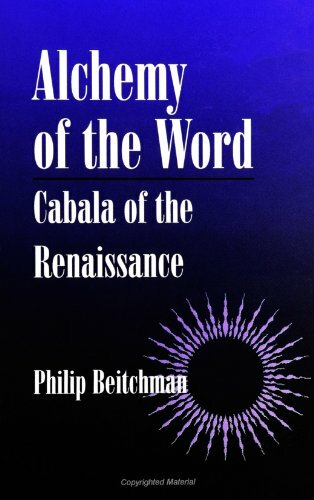 Alchemy of the Word is a study of the literary, philosophical, and cultural ramifications of Cabala during the Renaissance. Important intellectual figures from 1490 to 1690 are considered, including Agrippa, Dee, Spenser, Shakespeare, Browne, and Milton; Cabala’s more recent impact is also discussed. Cabala, a hermeneutic style of Biblical commentary of Jewish origin, is based on the notion that, along with an inscribed Decalogue, Moses received a secret, oral supplement that provides a symbolic, allegorical, and moral qualification of the literal law of religion. Building on the work of Gershom Scholem, Joseph Blau, Harold Bloom, François Secret, Michel de Certeau, and Arthur Waite, Beitchman takes a fresh look at the “mystical” text through the lens of postmodernist theory. 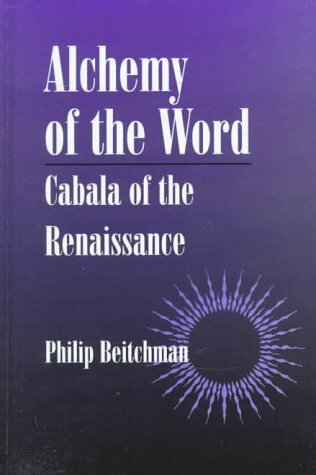 In a model developed from Deleuze-Guattari’s “nomadology” to explore issues related to the Zohar, he shows that Cabala was a deconstruction of Renaissance authority. Like deconstruction, Cabala presents familiar material from novel and sometimes provocative perspectives. It allows space for modifiability, tolerance and humanity, by widening the margins between the letter of the law and the demands of an existence whose rules were so rapidly changing. An exercise in the literary analysis of “sacred texts” and an examination of the mystical element in literary works, Alchemy of the Word is also an experiment in new historicism. It shows how the reincarnation theories of F. M. Van Helmont, which impacted heavily on the seventeenth century English cabalistic circle of Henry More and Ann Conway, demonstrate at once the originality and boldness of Cabala, but also its desperation, constituting a theoretical parallel to the continental “acting out” of the Sabbatian heresy. Because of the debacle of the Sabbatian apostasy (conversion to Islam), Cabala subsequently declined in importance as a religious devotion, becoming either a matter of cults and heterodoxies or being sublimated into literary theory and practice. Philip Beitchman, author of I Am a Process With No Subject, has also translated books by Jean Baudrillard and Paul Virilio from French to English.